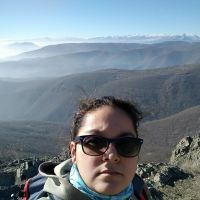 Mavrovo City Tours and Local Experiences from Local Guddy Our lovely tour will begin with taking a selfie all together with the highest mountain pick in Macedonia, Korab. After we will recharge our batteries with the traditional breakfast- Bakrdan with sour cream or Proya and with coffie. Afterwards we will head to the village of Rostushe, where we will hike and enjoy the nature of the Duf's waterfalls. Next we will visit one of the oldest and most beautiful monastery of Saint John the Baptist. Then we will visit the river Mala Reka with its own unique bridge Elen Skok named after a local legend. After we will visit some of the oldest vilages of the region of Reka where will stop to take a break and enjoy the nature with hiking a bit, picking wild berries and tea herbs. Because I have a terrain vehicle, we will head via the mountains roads where we will stop to have a picnic. We will have a great time, but we will have to leave. On the way, we will stop for a coffie in the village of Galicnik where we will enjoy the view of the lake Debar and the architecture of the old houses. And as we started our trip with selfie, it is how we are going to ended on the meadows among the sheep and the Sarplaninec, our famous shepherd dog. Planning a travel to Mavrovo? Login to create your trip plan so the guddies can offer you their tours! There are no travelers coming to Mavrovo yet.